- BusinessWeek magazine just named Burtonsville one of the best affordable suburbs in the country, despite calling it a "wealthy suburb" in their little blurb. Isn't this kind of an oxymoron? 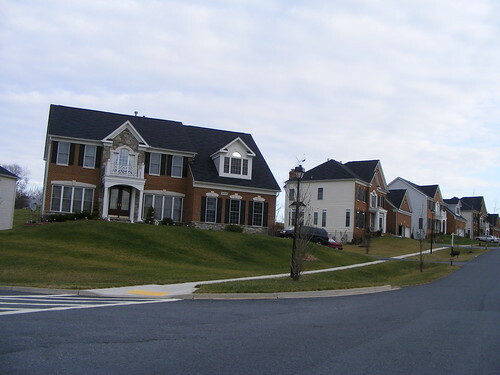 (See affordable/wealthy suburban houses in Burtonsville above.) And where's this "local farmer's market" they're talking about? - B'ville does, however, have Rita's Italian Ice, which is celebrating the start of their 2010 season by giving away free italian ice on Saturday from 12 to 10pm. The Burtonsville Rita's is on Route 198. (You know, it's Old Columbia Pike just past Old Columbia Pike, but if you hit Old Columbia Pike you've gone too far.) They also have locations in College Park, Olney, and Aspen Hill. - These are good times for student journalism. 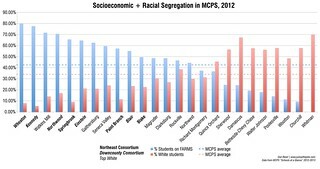 Paint Branch High School's Mainstream just discovered (ha!) that the Discovery Channel has a big headquarters building in Downtown Silver Spring. Meanwhile, Howard University's Hilltop only became aware of Silver Spring two weeks ago. Kinda wonder why they're so impressed by the presence of a Borders. They have books at Howard, don't they? - The Brits think Silver Spring is in "North West D.C.." Not sure whether that's good or bad for property values. Maybe the Howard kids read this before visiting - because, like all D.C. residents temporary or permanent, they're deathly afraid to venture out into the wilds of Maryland. - Montgomery College has a cricket team that's competing in a national championship! You'd think a community college that's beating snooty four-year schools like GW would pay for the uniforms of the team doing so, but apparently that's not the case. Tsk tsk. Hey, have you seen the documentary "Silver Spring: Story of an American Suburb" on PBS? Just tivo'ed and watched this week, it was really good! Did you know that the Confederate troops would probably have taken over DC if they didn't stop and get drunk in Silver Spring first!? I think there should be local holiday on the anniversary of that date in which we all go out to DTSS bars and recreate the event in celebration of Silver Spring's momentous role in Civil War history. We all know a lot of the later history with the revival of Silver Spring in the past decade or so, but even so, seeing all put together in a narrative gives you a different perspective. It made me realize that "they" (we? who?) 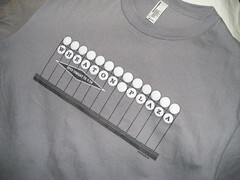 really have done a good job of bringing life back to Silver Spring while preserving key elements of its history. I know you talk about it a lot -- the balance between preserving the old and making way for the new -- but watching this documentary I really "got it" in a way I hadn't before. And so far, I think Silver Spring has done a surprisingly good job of finding that balance. I have! I too enjoy this documentary produced by local resident Walter Gottlieb, who JUTP profiled last fall. I think we've done a pretty good job of balancing the new and the old, though some big stuff on the horizon - the redevelopment of Falklands, for instance - will be a test of how well we can preserve the past while accommodating future needs.